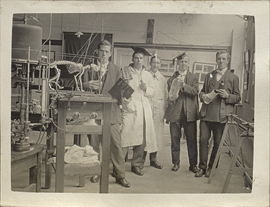 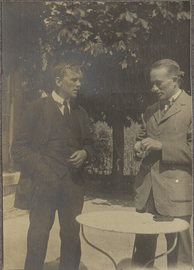 Wilder Penfield and Dr. C.F. 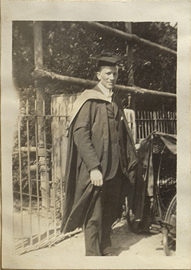 Krige, photograph. 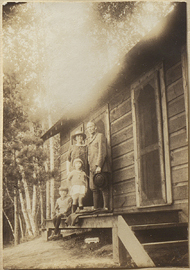 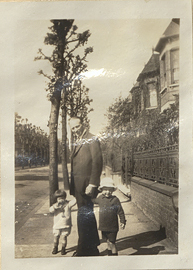 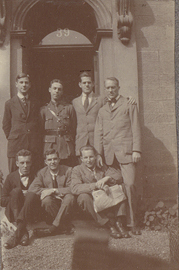 Wilder Penfield and Family in Front of a Lodge, photograph. 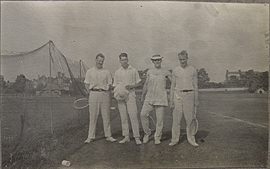 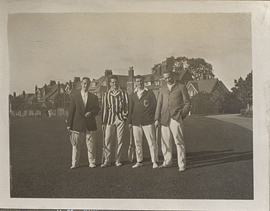 Wilder Penfield and friends posing with tennis rackets in outdoor sports field, photograph. 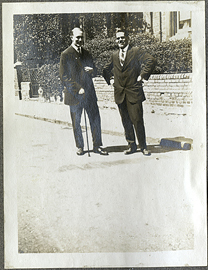 Wilder Penfield and friends posing with tennis rackets, photograph. 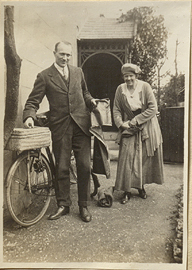 Wilder Penfield and Helen Kermott Penfield with Bicycles, photograph. 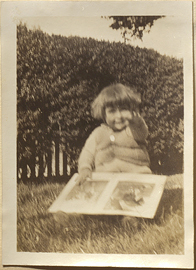 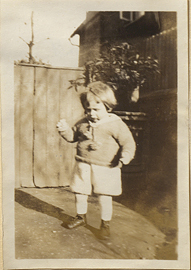 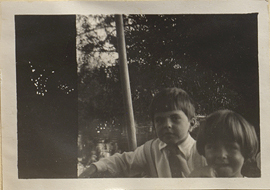 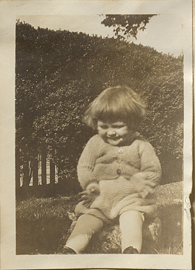 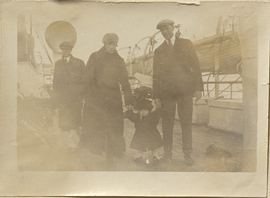 Wilder Penfield and Helen Kermott Penfield with Wilder Jr. aboard S.S. Winfredian, photograph.